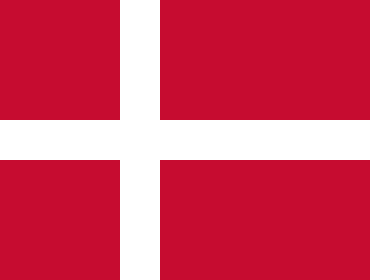 “…Denmark is now in competition for the title to be the least attractive country for asylum seekers.” – Michala Bendixen, The Guardian, Jan 27, 2016. On Tuesday, the Danish Parliament made its position on refugees more than crystal clear. Had it been eased or modified? Hardly. European states have seemingly embarked on a competition of the worst. Instead of hunting for innovative solutions on how to deal with the refugee crisis, the unilateralists have continued to steal the argument. The unilateralist seizure of the refugee conundrum is an ongoing one best exemplified by the Australian response to the MV Tampa in August 2001. Kept at sea for almost two weeks, and the basis for what would become the Pacific solution, keeping refugees off the Australian mainland, it was indifferent to international law. A textbook policy has developed as a result: ignore international protocols, embrace sovereign imperatives and securitise the issue. The new Danish law has a few ghoulish provisions worth nothing. A seizure provision permits authorities to confiscate assets exceeding $1,450 (10,000 kroner) to cover the upkeep of a migrant’s stay in the country. Exemptions are made for items of “sentimental value” such as wedding or engagement rings. The application period for resettled refugees applying for family members to join them is extended from one year to three, though such restrictions have tended to be common after 2013, part of the two and fro of populist reactions. Danish Foreign Minister, Kristian Jensen, and Immigration and Integration Minister, Inger Støjberg, made the case before the European Parliament on Monday. The bill, so went the argument, was adapted to both maintaining the Danish welfare state and toeing the line of international law. The restrictions on reunifying family members is similarly reductionist. A ruinous conflict and the crisis it precipitates against families has been cast aside as inconsequential to the issue of reunification. So what if asylum is granted to an applicant? It hardly means the others should follow in tow. Those dumping on this piece of heavy-handed legislation should also remember that the Danish Parliament has been at this before, moving the pendulum on refugee policy to the right over the last three years. The latest law simply extends the line. In 2015, the same body passed a regulation that reduced social benefits by up to 50 percent for new refugees, marketing it as an “integration benefit”. Foreign nationals granted a temporary residence permit would not have the right to bring their family to Denmark within the first year. A five year waiting period for the grant of permanent residence would be enforced, and language requirements behind obtaining such a residence would also be policed. All these points became part of an advertising campaign on the part of the Danish government. “Denmark has decided to tighten the regulations concerning refugees in a number of areas,” went the advertisement. Lebanese papers such as The Daily Star ran the whole complement of changes, reducing the asylum seeking issue to a matter of pure economics: do not come to Denmark, getting welfare, and your family over here, will be a tall order. Three Arabic-language newspapers also ran the advertisement, and the Immigration and Integration minister made much fanfare about it via Facebook. The numbers seeking asylum have jumped from 2013 (7,557), doubling the following year, and moving to 21,000 in 2015. These still do not compare to countries which have received greater numbers by far, be there Germany to the south, and the more popular Scandinavian neighbour, Sweden, though Denmark has a higher per capita rate. Part of the arguments can be made along steely rational lines, though they always come down to the same thing: what we do is our business. The welfare state, funding, as it does, free education and healthcare, does so within a compact of assumptions and understandings. Civic understanding does not necessarily extend to those not within that community. Frozen out, non-citizens are condemned to exceptional treatment, marginalisation and distancing. Humanitarianism is only shown on the off chance. Nothing typifies this more than the Danish policy on relocating refugees from urban settings to camps, a point that shifts “the focus of government immigration policy to repatriation rather than integration”. Refugees are to be reminded that they are the unwanted. The Danish reaction typifies this more than most. Within its territorial confines, the liberal welfare state can operate at will, with the moralists happy to pontificate about a vile world. Bodies such as the Danish Refugee Council can engage in refugee activism overseas – as long as those refugees remain in other forums. When the problem comes home, attitudes tend to change – dramatically.